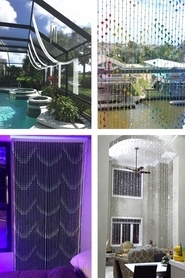 We knocked it out of the park with our "FabuLush Flowers�" Beaded Curtains. Be transported to a tropical island in your own home every time you enter the room! These pretty curtains are made with a "roughish" painted wooden rod that has two eyelets at the top for easy hanging. 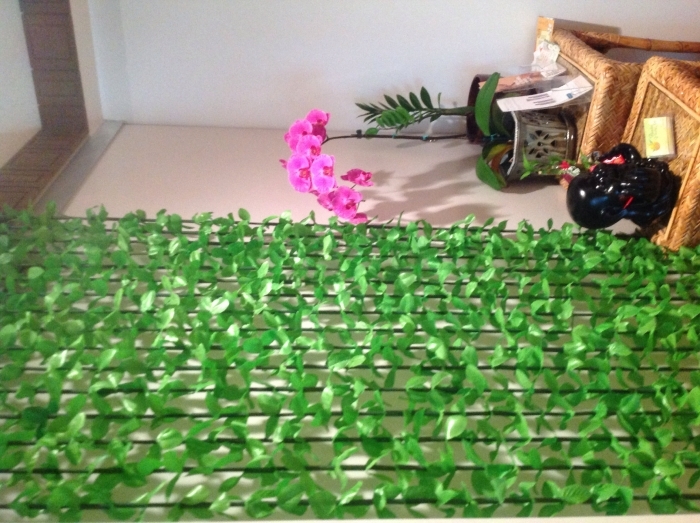 The silk fabric flowers and leaves are super soft and are separated by tubes of bamboo beads. 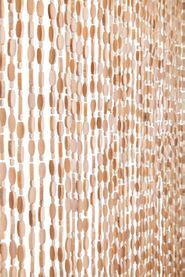 Hang our "FabuLush Flowers�" Bead Curtains in a window, in a doorway, flat against the wall...you might even use these at events and create fantastic backdrops or gazebos of flowers. Each rod is approximately 35" wide. The length of each curtain is approximately 70" with approximately 14 Strands per curtain. We say approximately over and over again because each of these curtains are completely constructed by hand and there can be variations from curtain to curtain. What we're seeing is pretty strong consistency but that's not to say that if one type of strand has smaller flowers that it won't have MORE strands. These are not machine made, so consider any surprises to mean that it was made just for you! EVERY item is beautiful, you will be thrilled with your purchase! Took our mermaid shoot to the next level! Love, love, love this lush green tropical curtain! 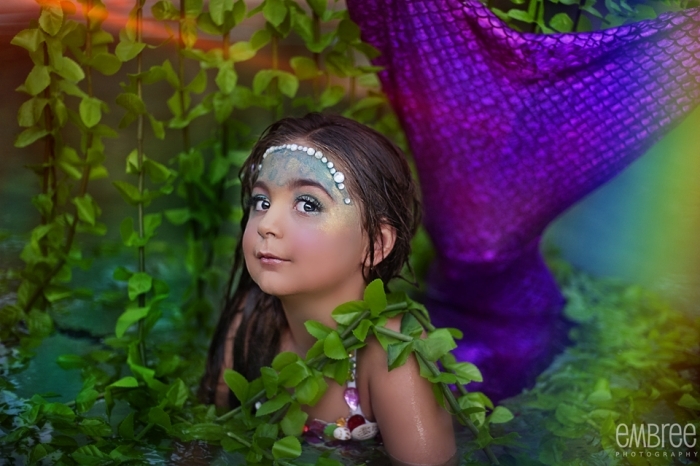 It took our mermaid session to the next level! It even held up well and dried perfect after using it in a pool. It took just a normal pool and made it into a tropical paradise! I was having a tiki party and needed some jungle look for inside my tent. WOW did these do the trick. I love them. 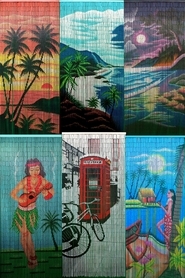 They are exactly as shown, and create a terrific back drop for any scene that needs that tropical feel. Would I buy them again? Most certainly! But I bought 6, and they are very well made, so I am not sure I will need to! But, you definitely should! Love it. easy to installed. These breads are a wonderful addition to my rooms decor. Artfully crafted and sturdy design. Would recommend to friends and package arrived promptly and in excellent condition. Would buy again from this company. I bought these to hang in front of a half-way in my entryway, and I'm very pleased with the way they look. I got two curtains; side by side, they span six feet. One string on one curtain was a little messed up when the package arrived (a couple of broken beads left white string showing in one place) but overall I really like them and I'm glad I purchased them. The curtains add a nice contrast to my white shag carpet. Cute stuff.......I would like to see "shell and starfish" curtains at a reasonable price. ConsThese curtains all seem so sparse... 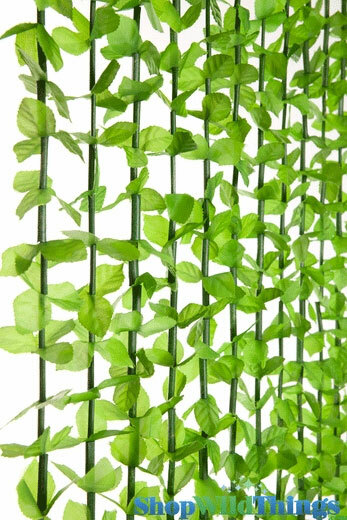 I know they are decorative, but I want to hide from view, the back side of the curtain without breaking the bank.........feel me? AWESOME, I HUNG THESE ON MY PATIO DOOR. VERY WELL MADE QUALITY CONSTRUCTION.I AM GOING TO ORDER SOME FORMY 11 GRAND DAUGHTERS BEDROOM LOVE THEMVERY MUCH. 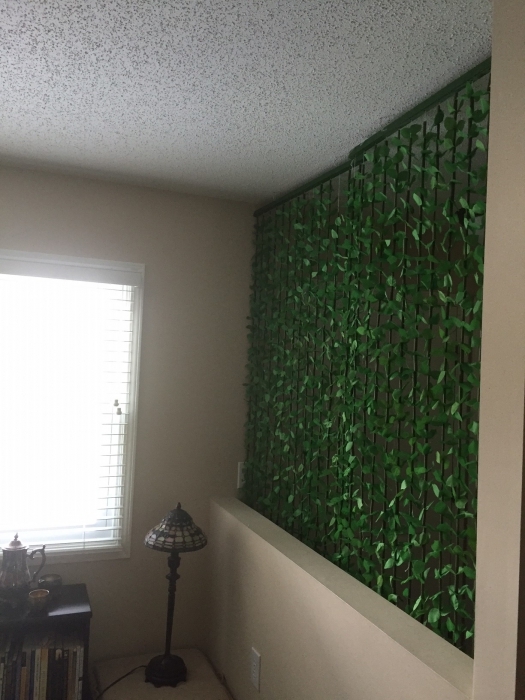 Green beaded curtain very fantastic create and therapeutic for my customers at front door my Paradisewaxingspa. nice quality perfect so happy!!! Prosbeautiful color, really exceptional quality!!! and the price is fabulous! really awesome in my business!!! My bedroom doorway is not only luxe but also styling thanks to these curtains. My granddaughter refers to them as the jungle. Love them! Quality look with just enough density to provide partial privacy. ProsLeaves realistic from a distance. and my dog loves being able to walk in and out anytime she likes. I had ordered the yellow/orange one, but was sent the white one, but it's okay.